Today I went to Queen Elizabeth Olympic Park in Stratford to watch the start of the professional riders taking part in the Prudential 100 mile cycle race. I was hoping to pick up some tips to help me with my Ken Biking in Central London. After the start of the race I went to the stalls in the Park where you could cycle for free smoothie drinks; try out weird bikes and find out how to "pimp up your ride". 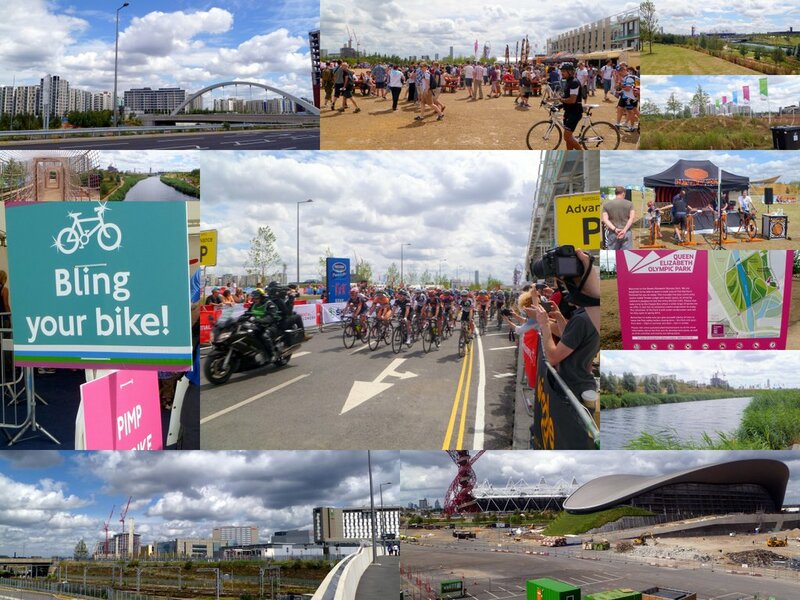 The Olympic Park is now open (in part) to the public for free and it is just a fantastic asset to East London. There are great facilities for families, especially those with young children. I must admit that I did think that it was noticeable that there were relatively few Black and Ethnic minority families in the Park today? I wonder how many of my (West Ham Ward Councillor) constituents were there? I will contact the Park to see if they know. We don't want the Park to turn into some sort of privileged white middle class ghetto. It should be open to all. Years ago I use to cycle/run into work through this area when it was probably the most grotty and ugly industrial estate in London. How things change. How dare you call the Carpenters estate "grotty and ugly industrial estate"
It provided over 5,000 jobs. It did provide real jobs to real men (and women). Because it was a "grotty and ugly" industrial estate. Dumped rubbish, car scrap yards, derelict buildings and sweat shops. There were some good businesses who did locate successfully. 5,000 jobs? I think not. It was also dangerous with one of the worse worse health and safety records in London. Look up the number of fatal accidents at the site.